Recent research from UT Dallas' Naveen Jindal School of Management examines how cultural perceptions affect the compensation of female CEOs in China, where women CEOs earn significantly less than their male counterparts. Overall, the researchers suggested that the gender gap in CEO pay in emerging economies may result from a perceived mismatch between cultural perceptions of female gender roles and perceptions of leadership traits. Joyce C. Wang, a PhD candidate in international management; Dr. Livia Markoczy, associate professor of organizations, strategy and international management; and Dr. Mike Peng, O.P. Jindal Distinguished Chair of Management, are co-authors of the study, which was published in the Journal of Business Ethics. "That the gender pay gap exists even in top positions is a known problem, but the reasons for this pay gap and possible solutions to address this problem are still debated," Markoczy said. The researchers wanted to explore how female CEOs are compensated in emerging economies. China was chosen in part because an increasing number of women are rising through corporate ranks in Chinese companies. Also, the process for determining CEO pay is less formalized and transparent in China compared to developed economies. Using a sample including 1,667 firms in China, the researchers studied CEO compensation between 2004 and 2010. They gathered data from publicly listed firms on the Shanghai and Shenzhen Stock Exchanges. Although a higher percentage of women serve as CEOs in China than in the United States — about 5.6 percent of firms there were headed by women compared to 3.3 percent in the U.S. as of 2010 — the study found that the female CEO compensation gap is still substantial in China. The study examines how, in emerging economies, leaders are typically associated with agentic traits, or those more focused on outcomes, including aggressiveness, competitiveness and independence. In contrast, women are stereotypically considered more compassionate, inclusive and sympathetic. These communal traits, which consider group dynamics in decision-making, are often seen as incompatible with the agentic requirements expected of a leader. "The stereotypical views toward women and leaders may be translated into lower pay to female CEOs relative to male CEOs," Wang said. "This is more likely in firms with less-formalized pay-setting rules, such as those in China." Exhibiting agentic qualities, such as taking more risks, thus demonstrating traits desirable for leaders. Working in female-dominated industries — such as broadcasting, retail, publishing, textiles or tourism, in which more than 50 percent of the employees are females — a context where communal traits are valued in leadership positions. However, for female CEOs, the researchers advised against doing both — taking risks in female-dominated industries. "While our findings on the substantial compensation gap between female and male CEOs are sobering, we also offer a silver lining to successful women," Peng said. "There are ways for female CEOs to reap the fruits that their hard work justifies." Dr. 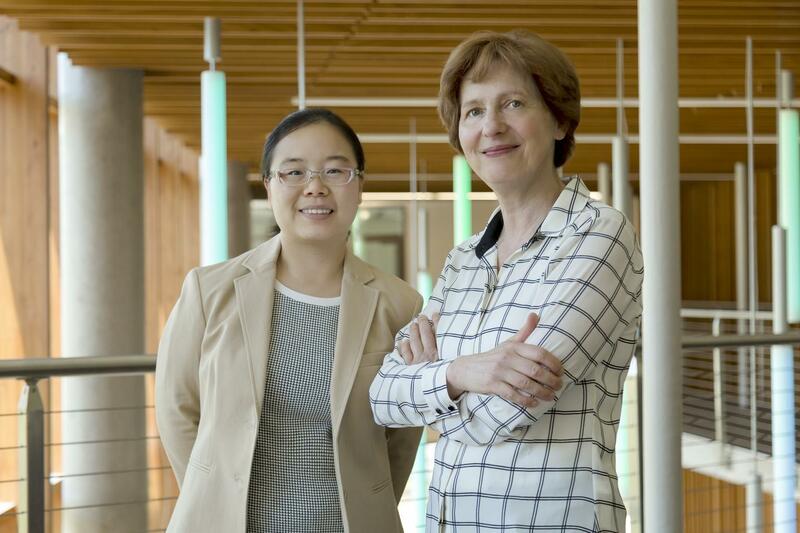 Sunny Li Sun PhD'10 of the University of Massachusetts Lowell is also a co-author on the paper. Is the 'queen bee' phenomenon a myth?